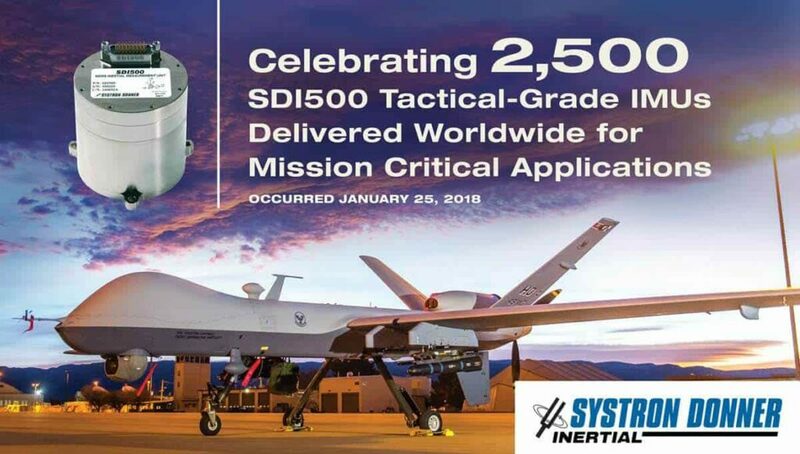 Systron Donner Inertial, a developer of high-performance MEMS inertial sensors and systems, has announced that it has delivered its 2,500th SDI500 Tactical Grade IMU (inertial measurement system). The SDI500 Tactical Grade IMU features high reliability and accuracy in challenging environments subject to high vibration, rapidly changing temperature extremes, and tough mission profiles. 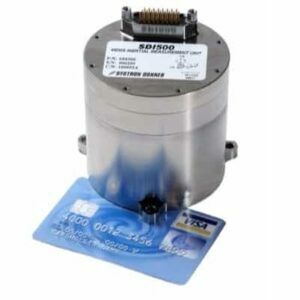 The SDI500 is capable of delivering 1.0°/hr gyro bias and 1 mg accel bias stability over full temp. -55°C to +85°C. The IMU also features <1.0°/hr gyro bias in-run stability, 0.02°/hr random walk noise, dynamic range of +/- 1,000 °/sec for the gyros and +/- 50g for the accelerometers and <1.0 sec valid data start-up. The high performance IMU is used in various tactical guidance, navigation, flight control and stabilized systems in unmanned vehicle applications such as UAVs (unmanned aerial vehicles). The compact, low power SDI500 provides an excellent SWaPC advantage over legacy tactical grade FOG and RLG IMUs.